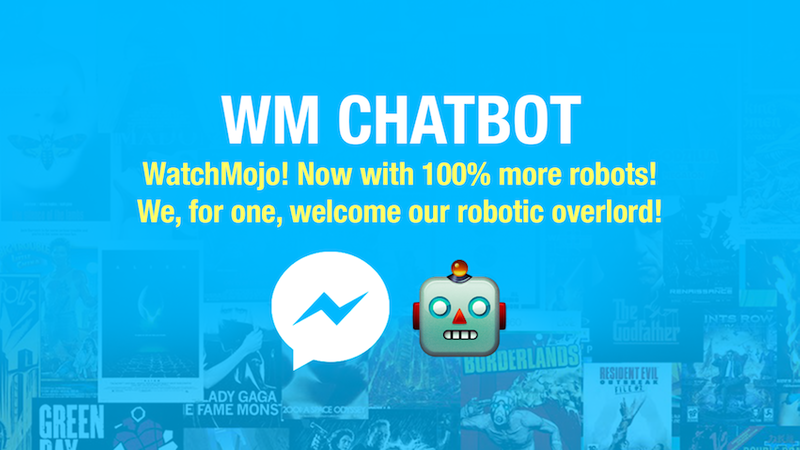 About a year ago, thanks to my product leadership role at WatchMojo I got to lead an AI-powered chatbot initiative. There’s been an explosion of messaging apps: 1.2 billion people use Facebook Messenger, 1.2 billion people use WhatsApp, which is owned by Facebook. Snapchat, in terms of non-native iOS apps, is No. 2 in terms of how much time people spend with that app. iMessage is the most used iOS app. And of course, good old-fashioned SMS is on 4 billion phones. Often companies decide to expand their product portfolio of offerings to better support an existing market. Instead, we decided to promote our existing set of video offerings to a new market segment. We wanted to engage users through 100M+ devices including voice-activated speakers, Android phones, iPhones, Android TVs, and more. That is how I came to add chatbots to our roadmap. We needed to diversify traffic sources for digital content. We also needed to establish a presence on a number of emerging messaging platforms. AI’s getting better so by doing it we'd learn a lot from experimenting and end up establishing a more personal relationship between WatchMojo and its viewers. Bottom line, we wanted to push WatchMojo content where our users were already active. I was lucky to be involved in discussion with Montreal based Artificial Intelligence pioneers (Element.ai, Nuance, Automat.ai, Fuzzy.ai). While I couldn’t use their technologies we knew Actions on Google (previously api.ai) was an emerging platform for developers. While I appreciate the surge of the Google ecosystem, its ability to write once and deploy into many messaging apps allowed us to Individually and contextually communicate one-to-many and build relationships with our WatchMojo audience in a way that felt organic and natural. Finally, this product initiative was designed for new personas and a new segment. We created a footprint in new app messaging platforms like FB Messenger and Google assistant. Humans are innately wired to have conversations. Chatbots apps just happen to be the newest and most interesting way for users to interact with each other and world around them. So we ended up designing a friendly bot that gives users amazing video recommendations. I am a CPO who has experienced significant events and has learnings to share, a Product Manager who has pushed progressive techniques in companies resistant to change. Check me out on Reflektions.com and view my LinkedIn profile.